Ian Thorpe is Australia’s most decorated Olympian, one of Australia’s favourite sons and a sporting legend around the world. Affectionately known to many as Thorpedo, Ian broke 22 world records and won five gold, three silver and one bronze Olympic medals. He has also collected 11 World Championship titles, 10 Commonwealth Games gold medals and nine Pan Pacific titles. Ian came to the UK to be interviewed by Sir Michael. During the 90 minute programme, no questions were off limit, as Ian talked openly about his battle with depression and alcohol, coming to terms with his sexuality, recounting his award winning races, along with his hopes and plans for the future. Logie Awards 2015 Ian Thorpe: The Parkinson Interview, nominated for Most Outstanding Public Affairs Report. 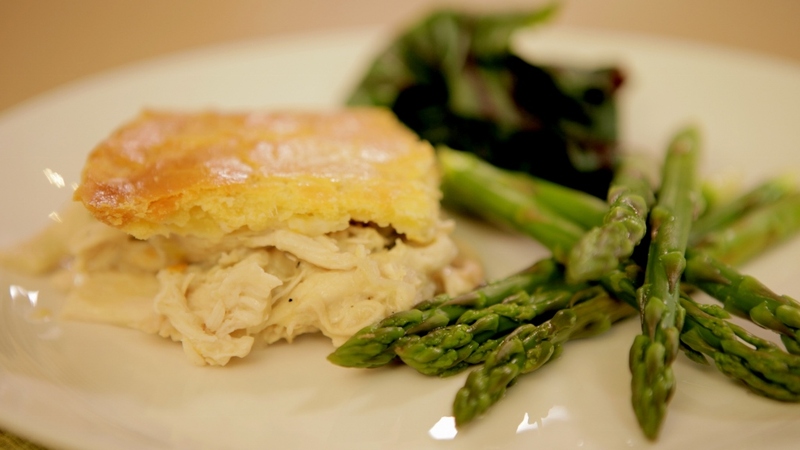 Presented by Grace Cheetham, Free From shows how to prepare simple delicious dishes for allergy sufferers who enjoy their food and don’t want to miss out on tasty meals. In this series exclusively for Waitrose TV, Sir Michael interviews 6 of Britain’s top chefs to discover where their love of food and cooking started. 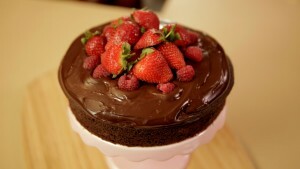 Each chef also prepares a dish that has a particular meaning to them. 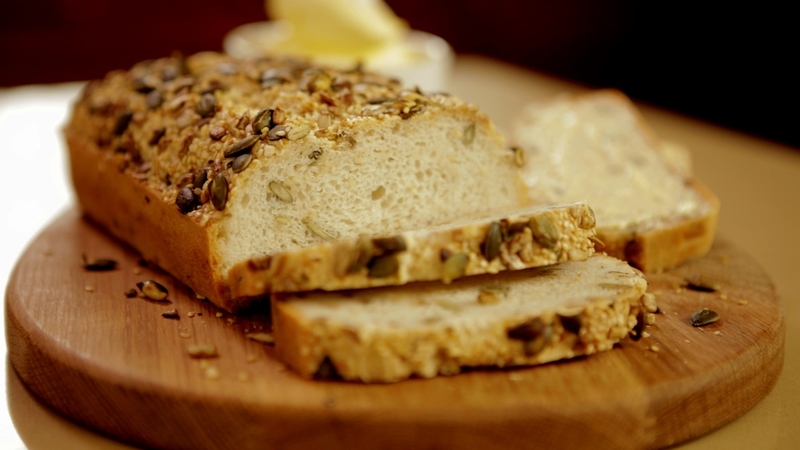 Guests include, Heston Bluthenthal, Mary Berry, James Martin, Tom Kerridge, Angela Hartnett and Jason Atherton. 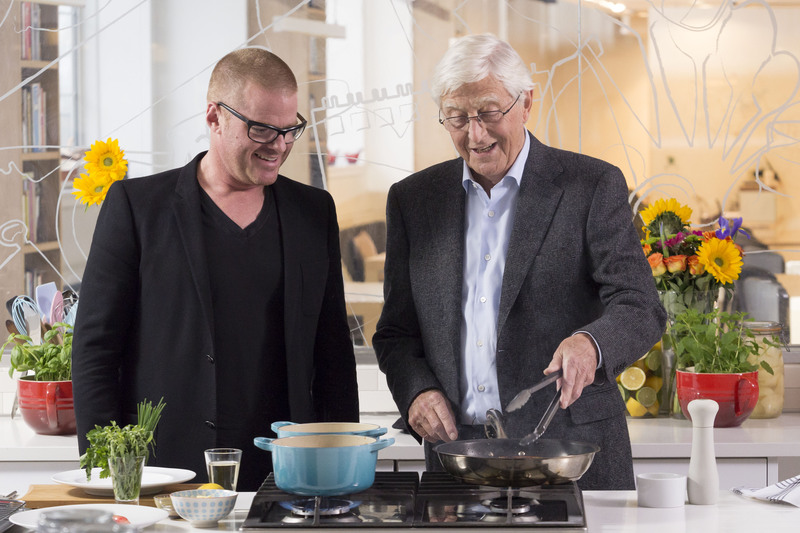 Parky’s Top Table is a relaxed, intimate, entertaining and insightful look at a top chefs special relationship with food. In the second series of the Sky Arts talk show, Sir Michael Parkinson interviewed Dynamo, Ellie Goulding, Milos Karadaglic, Eddie Izzard, Simon Russell Beale, Dame Evelyn Glennie, Akram Khan. This strong and varied line up of guests revealed in their own words and with exclusive demonstrations why they are best at what they do. 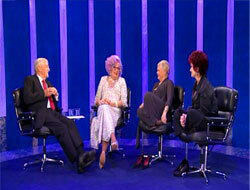 The first series of Masterclass was broadcast on Sky Arts in November 2012. The six part series features the most successful exponents from all areas of the art, in conversation with Sir Michael Parkinson and tries to answer, in their own words and exclusive demonstrations, the simple questions of why they are the best at what they do. Series 1 featured Jamie Cullum, Michael Morpurgo, Don McCullin, Jonathan Yeo, Carlos Acosta and Lang Lang and was Highly Commended in the Broadcast Digital Awards 2013 Best Entertainment Programme category. 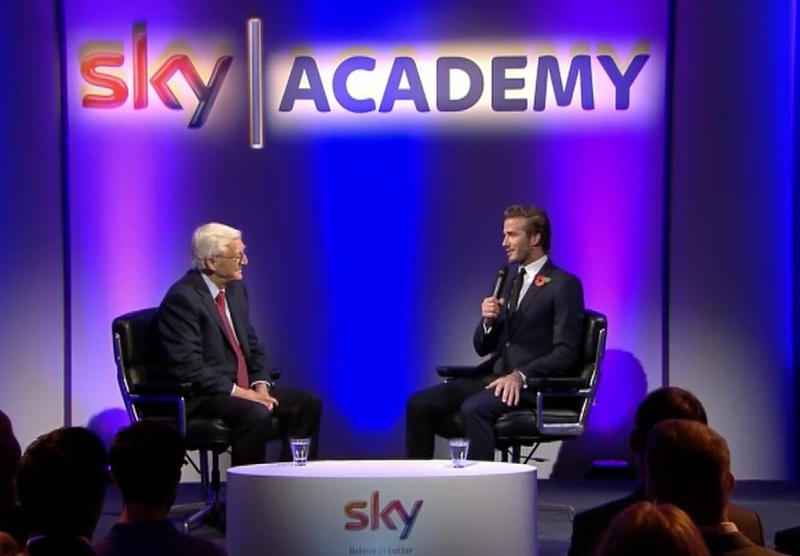 Sir Michael gets personal with David Beckham for a one off special with Sky. 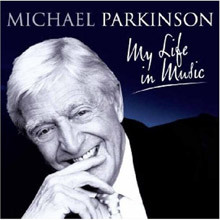 A follow up to 2010’s successful ‘Michael Parkinson Collection’, this two-disc DVD that comprises a compilation of Parkinson’s highlights from his much loved chat-shows, drawing from an impressive archive that spans over 40 years. This time, the box-set will offer a chance for the audience to relive some of the greatest interviews and memorable moments in more detail, with a selection of the most interesting guests, including audience favourites Dame Judi Dench, Michael Caine and Kenneth Williams. The DVD demonstrates the skill of arguably Britain’s most talented and well loved broadcaster, as Sir Michael Parkinson manages to delve into the guest’s unconventional lives, to draw out the most fascinating and often amusing anecdotes. Sir Michael Parkinson & Sir David Frost, both giants of British broadcasting, collaborated in Sydney in March 2011 to produce two programmes for Channel 9 Australia. Each interviewer re-created his unique style of talk show and filmed 2 special episodes for the network. The first – “Parkinson: The Frost Interview” – saw Sir Michael back on familiar ground, on a replica soundstage to his “Parkinson” set, interviewing his old friend and colleague about his life and career. 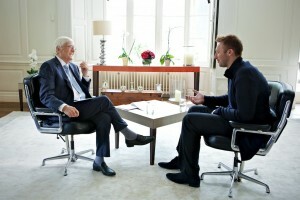 The second show – “Frost Over Parkinson” – featured a role reversal, as Sir David took to the interviewing chair and Sir Michael became the interviewee. This show gave Sir Michael the rare opportunity to transition from interviewer to interviewee and talk about his life and times. Both shows were a Parkinson Productions/SEL Production for Channel 9. The Best Of Parkinson is a definitive DVD collection of the most memorable guests and moments from the entire archive of the Parkinson show. This box set of over 5 hours is full of old favourites like Muhammad Ali, Billy Connolly, and the Hollywood stars, but also unearths hidden gems and surprising contributions as well as recalling the moments the host would rather forget. It takes you under the skin of a conversational talk show charting how it grew from a summer scheduling filler in 1971 to a powerhouse of prime time telly and give an insight into the tricks of the interviewing trade. Parky’s People is a glimpse at 100 of the greatest stars to have appeared on Parkinson between 1971 – 2007, presented in their own words. Carefully selected and introduced by Sir Michael Parkinson, it’s a place where the words of WH Auden sit alongside Madonna, Spike Milligan, John Lennon and David Attenborough. With tales of the machinations of the Hollywood studio system, of stars enlisting for service in WWII, Edwardian childhoods, ‘discovering’ Basil Fawlty, daring bets between Richard Burton and Peter O’Toole, and the painful years of the civil rights movement, the book should serve as a tribute to the greatest characters, moments, thoughts, movements and entertainment trends of the 20th century. In December 2009 Parkinson Productions produced for UKTV in Australia and New Zealand a 90 minute An Audience with Sir Michael Parkinson. Filmed in front of an invited audience containing some of Australia’s biggest names such as Shane Warne and Ricky Ponting this was a look back with the aid of specially selected clips and questions from the audience on Sir Michael’s life and 50 years in broadcasting. In Autumn 2009 Sir Michael embarked on a theatre tour of Australia and New Zealand, in which he played to sold-out venues, on 17 dates, across 9 cities. Parky the One Man Show is a 2 hour celebration of Sir Michael’s career combining anecdote and clips, a bit of dressing up and a song! The critics and audience loved it and we are in talks to produce a UK tour for 2011. 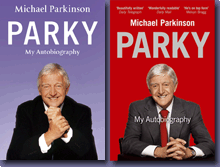 2008 saw the publication of Parky: My Autobiography which went on to sell nearly a million copies worldwide, was named The Sunday Times best-seller and topped the charts in the run-up to Christmastime. Sir Michael’s memoir is an inspiring story, particularly for anyone who hated school and left with 2 O Levels! It proves that dreams do come true. In it, Sir Michael recalls a full life with honesty, insight and humour, telling of his childhood in a Yorkshire mining village, through his first experiences in journalism writing for The Manchester Guardian and The Daily Express, and onto his move into television – behind and then in front of the camera. The memoir then tells of the phenomenal journey his talkshow Parkinson took him on over the following 30 years. Parky: My Autobiography was published by Hodder & Stoughton. To compliment the autobiography, Sir Michael simultaneously released a double CD compilation of the music that he has always held dear to his heart, and that evokes memories of his life and career. Having recently retired from his Radio 2 Sunday Supplement show, Sir Michael wanted to gather the music he would play his listeners, and provide it all in one place. These CDs represent his life in music. Anything from Louis Armstrong to Elton John, Ella Fitzgerald to Madeline Peyroux, Tony Bennett to Michael Buble, and the unrivalled Frank Sinatra. All the songs and performances on the album remind Sir Michael of how lucky he was to have lived through time when great singers, writers, arrangers and musicians combined to produce a treasure trove of music beyond price and compare.